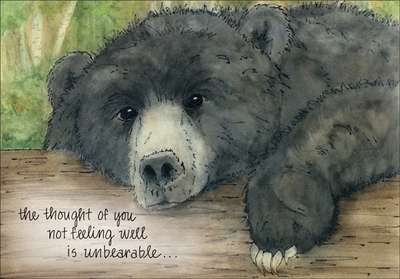 Masculine Get Well Card with Bear | it takes two, inc.
Often there really isn't much you can do for someone who isn't feeling well other than show you care. This bear's expression says it all. Let someone know you're thinking about them with this charming bear get well card. 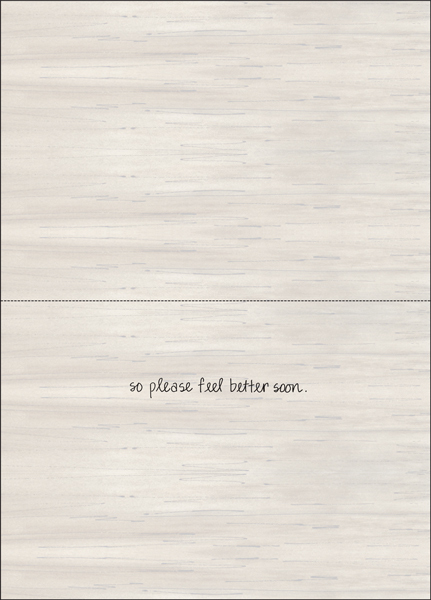 Inside: so please feel better soon.